Shot on our "outing" to Garden of the Gods this morning. Keith was my assistant holding the gold reflector from the side to reflect more light into the interior of the branches. I really like the way the gold reflector pulls the color harmony together. wow, Rick, I love the depth and composition of this image. The only thing I would want to change is to get limbs in the middle right side in focus too. Beautiful composition though! 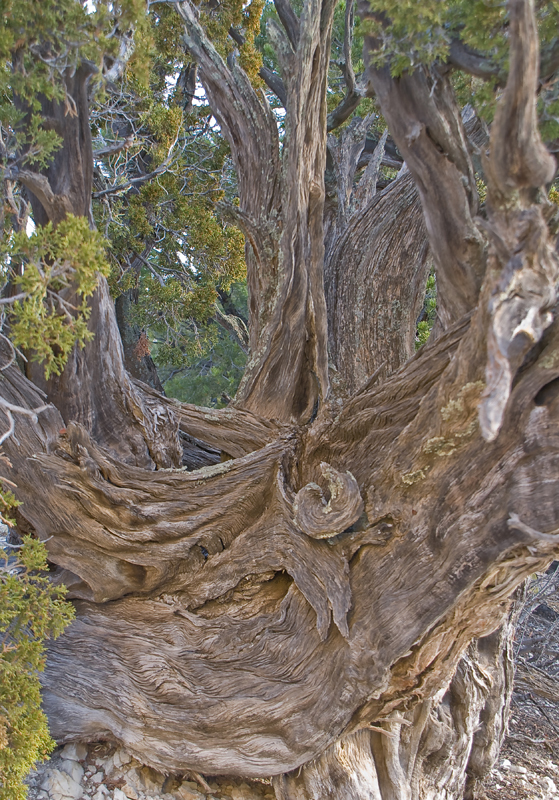 I love these shots of the juniper and am so glad to have the examples of what a reflector can do to bring out the details of these weathered trees. We have some fascinating specimens in this area but shadows often get in the way so now I have a solution to play with. These trees are amazing. It's like Northern Lights in a tree. What a place to visit. Nice shot.